Clayton Henderson began work February 1 as director of corporate affairs at the Port of Beaumont. The Caddo-Bossier Parishes Port Commission recently elected Sam Gregorio, president; Rick Prescott, vice president; and Roy Griggs, secretary-treasurer for 2016. Darrell McNair and Patricia Ramsey took their places earlier this month as newly-appointed trustees of the Cleveland-Cuyahoga County Port Authority. Mayor Edwin M. Lee on February 19 appointed Port Deputy Director Elaine Forbes as interim director of the Port of San Francisco, effective March 1. Ms. Forbes is succeeding longtime Director Monique Moyer, who is leaving the port to join a real estate firm. The largest container ship ever to dock at a North American seaport returned to Southern California last week. The CMA CGM Benjamin Franklin officially entered service for the first time on Friday, February 19, at the Port of Long Beach following an inauguration ceremony hosted by French shipping line CMA CGM and attended by elected leaders, port officials and industry executives. The Port of Oakland has agreed to a lease termination with Outer Harbor Terminals, LLC. 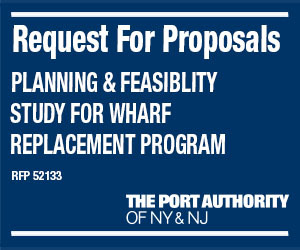 It will now be reviewed by a bankruptcy judge in Delaware overseeing Outer Harbor Terminals, LLC’s request for bankruptcy protection. AGRO Merchants Group is planning to build a 300,000-square-foot temperature-controlled cargo facility at the Port of Houston Authority‘s Bayport Container Terminal. 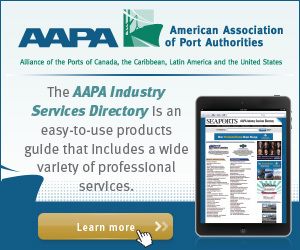 The Canaveral Port Authority (CPA) has joined the Green Marine environmental certification program, a North American initiative committed to advancing environmental excellence in maritime transportation. 2015 was a record year for the Massachusetts Port Authority’s Paul W. Conley Container Terminal in the Port of Boston, with throughput up 10.6 percent from the year before to an all-time high of 237,166 TEUs. Preliminary numbers indicate the Port of Brownsville in 2015 achieved another record-breaking cargo year in 2015. The year-end tally of 10.1 million tons beat the port’s previous record, 8.4 million tons in 2014. International cargos include steel, aluminum, lumber, minerals, gasoline, diesel and windmill components. The Port of Milwaukee handled some 2.0 million metric tons of cargo in 2015. Grain volume "grew significantly" while salt tonnage also increased and salt remained the port’s top cargo by weight. International container volumes at the Northwest Seaport Alliance (NWSA) terminals in Seattle and Tacoma jumped 25 percent this January, with containerized imports up 33 percent and exports up 16 percent from their January 2015 levels. Port Metro Vancouver’s 2015 year-end statistics show cargo volume remained steady at 138 million metric tons, with declines in some sectors offset by records in others. Container box movements exceeded 3.0 million TEUs for the first time. The Port of Virginia reports container volumes through January of fiscal year 2015-16 rose 3.0 percent from the comparable seven month period of FY 2014-15. Rail hauled containers were up 6.5 percent. The Port of San Francisco and Historic Pier 70 LLC, on February 16 announced the signing of a new sublease agreement with Tea Collection, a San Francisco-based clothing company, at Pier 70. Tea Collection will occupy 45,759 square feet in one of eight historic buildings undergoing rehabilitation by Historic Pier 70 LLC in partnership with the port. Vice President Joe Biden visited the Port of New Orleans’ new Mississippi River Intermodal Terminal last week before making remarks at the port’s Riverfront Plaza commemorating the 7th anniversary of the American Recovery and Reinvestment Act.